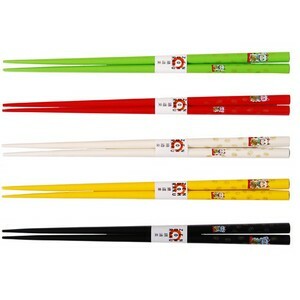 5 pairs of chopsticks with lucky cat design. (1 x yellow, 1 x red, 1 x green, 1 x black, 1 x white.) Made in China.